If you are still in the market for a new full-size luxury car stacked with countless driver features, take a closer look at why the BMW 6 Series is growing in popularity. The Lane Departure Warning feature is designed to help keep drivers focused on the road. With too many distractions all around, the BMW 6 Series uses this feature to identify if the car is drifting out of the driving lanes and vibrate the steering wheel to get the driver to quickly take action. 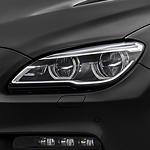 The BMW 6 Series also is equipped with a Frontal Collision Warning system. The way this unique feature works is it scans the road ahead for slow traffic, and if anything in your lane could cause trouble, your brakes are applied gently to avert the collision safely. Stop by BMW Seattle because today is your chance to take the BMW 6 Series for a test drive.